Moth and Other Tales was the first album we recorded after having practiced together and developed the songs as a group. In my opinion, this album best defines "The Lawnchairs" sound. In terms of the overall mood as well as how the songs flow into each other it is the most consistently good album that we ever made. 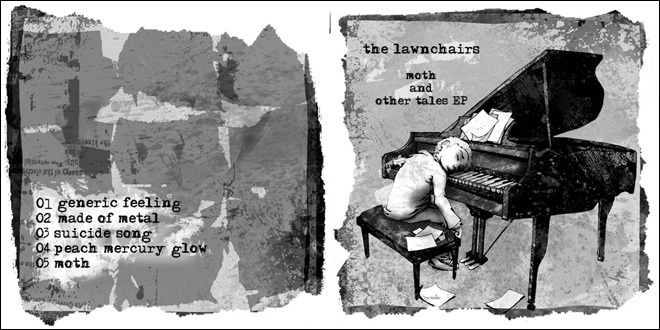 Copyright 2008 The Lawnchairs. All Rights Reserved. Email charles.steidle@gmail.com for further information.